We know how hard, and expensive weddings can be. So we will take all the stress away when you book us for your wedding. 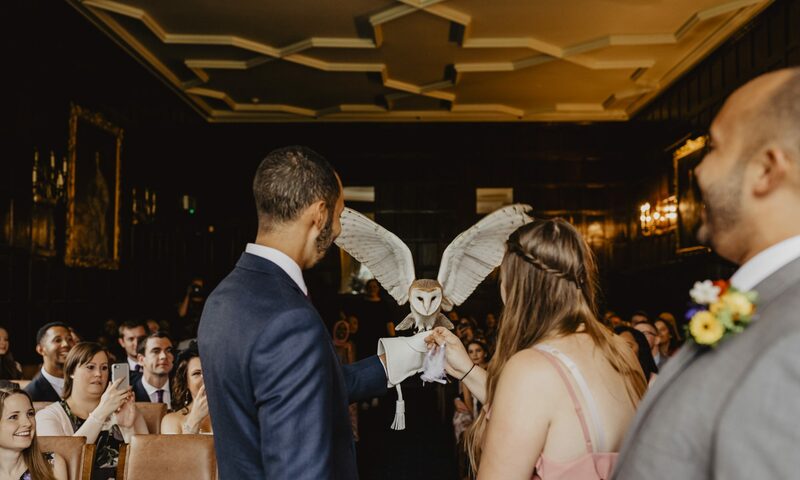 We offer Owl Ring Bearer, our gorgeous, talented, silent Barn Owl will fly down the aisle to you, landing on whoever you would like to be involved. It can be Best Man, Groom/Bride, a special family member or a child. It is completely up to you, we would just need to know on the day so we can talk them through everything. 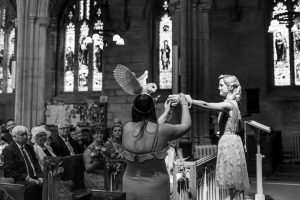 If you choose Option 2, we can bring along extra birds for photos afterwards for you and your guests. We like to bring a variety of other birds ranging from big to small, to allow everyone to have a good experience. 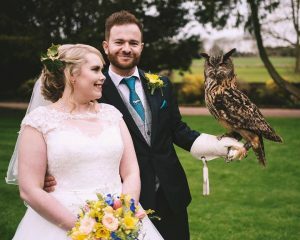 If you are not keen on having the Owl deliver the rings, we can always do a static display after the ceremony. We will bring along 4-6 birds which you and your guests can handle and have pictures taken with. It is often a great way to bridge the gap between the ceremony and the reception. It’s also the perfect opportunity to be whisked away to have your photos, whilst knowing that your guests are busy!! If any of this sounds interesting, please contact us for more information! 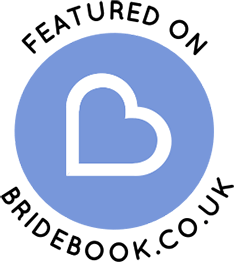 For a limited time, we are offering £50 off the total amount!!! Be quick though, lots of dates running out!! Next PostNext SUBSCRIBE TO OUR YOUTUBE CHANNEL!